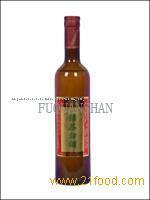 Ningbo Fuquanshan Green Tea Wine Co., Ltd. was founded in 2004, in the seaport that is well-known by both Chinese and foreigners-Ningbo. It specializes in producing tea related food. The company has got the Invention Patent-the production technique of brewing from green teas fermenting in liquid and has passed HACCP authentication. 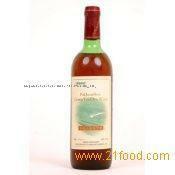 The Tea Wine has got the "Green Food" certification, of which exported to the America had achieved the FDA criterion. 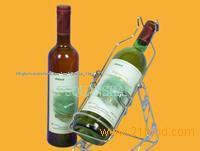 The raw material manufactory is located in the famous tourist and holiday resort-Fuquan Mountain, Ningbo. There are about 667 hectares of green teas growing in the tea garden, of which 24 hectares are contiguously growing. It is one of the largest tea gardens in China. 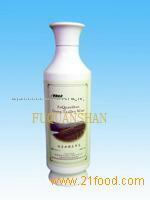 The main product is Organic Green Tea Wine, which contains rich tea polyphenol, caffeine, amino acid, etc. Drinking this tea often will help refresh and calm mind, improve eyesight, melt blood fat and prevent cancers. 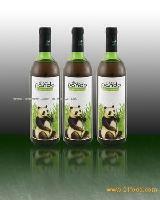 The company now is making great efforts to reach the turnout of 5000 tons Green Tea Wines each year. If we achieve this aim, we could be a medium-sized stock company. 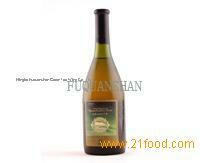 Company Name : Ningbo Fuquanshan Green Tea Wine Co., Ltd.